With the House flipping to a Democratic majority in January, lawmakers are rushing to pass damaging legislation that would have the gray wolf delisted across the lower 48. On Tuesday, the US House rules committee made a deadly move on the wolf by passing HR 6784, the “Manage Our Wolves Act” out of committee. This stand alone bill is scheduled for a floor vote this Friday, November 16. If passed, HR 6784 will remove all federal protections for all wolves in the lower 48 except the Mexican gray wolf. The bill excludes opportunity for judicial review — a blatant attack on the very checks and balances at the core of our democracy. 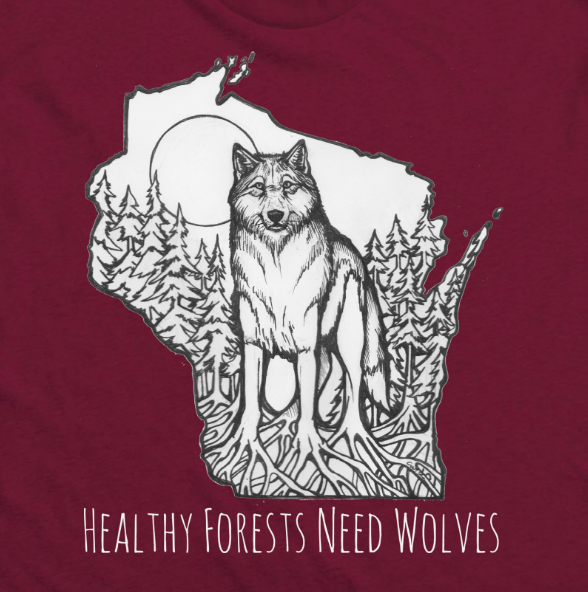 For Wisconsin Residents in Duffy’s Congressional District: Call Sean Duffy and tell him as a constituent that you OPPOSE HR 6784 and want to see wolves remain protected under the Endangered Species Act. Wildlife belongs to everyone under the public trust. According to a DNR survey, 79% of people living in Wisconsin want to see wolves remain protected. States “management” plans include wolf hunting and trapping. States are poised to kill wolves with no regard to the damage already done by recent wolf hunts and other lethal plans. Killing wolves has not proven to decrease conflict. States need more time to develop wolf protection plans and greater public understanding and tolerance for the wolf. Judicial review keeps our government accountable and transparent. It is a founding principle of check and balances and at the core of our democracy. The wolf is vulnerable and the vast majority of Wisconsin residents value wolves and want them protected for future generations. This bill is set to hit the floor as soon as THIS FRIDAY so we MUST ACT NOW. Please call your Representative and urge them to OPPOSE HR 6784 today! Please respect opinion and interests of the majority of the US people and do not delist wolves! I want to live with animals not kill them and stuff them on the mantle. Let us be better than our forefathers (the English who killed all the predators long ago) and keep what we’ve got. This action would put our environment in worse shape, the deer wasting disease will get worse and it wouldn’t have any positive impact. LIFE MATTERS Human and animals. RESPECT LIFE! Oppose delisting wolves. Fear mongering has no place in the protection of our endangered species and yes they are in my backyard! The vast majority of Americans want them protected! We need to stop controlling our animals! They all belong on this planet! That’s why they exist! Wolves are beautiful animals! We need them to to balance the circle of life! They exist! They belong! As a U.S voting constituent, I am writing to urge assigned congressional representatives to vote “NO” on H.R. 6784, the “Manage our Wolves Act”, which would remove Endangered Species Act (ESA) protections from gray wolves across the contiguous United States. It took decades of rational, intelligent bipartisan hard work, honest effort and sound scientific studies to reestablish healthy Wolf populations and other apex species in the few chosen natural regions that still exist across the lower 48. These iconic intelligent Creatures have become more accustomed to the tourist camera lens than ‘anything else.’ Their very existence benefits benefits all life. Please vote ‘ No’ on HR 6784. Thank you.